If you wish to seek assistance or need some questions answered, feel free to call our sales team on 1300 694 678. First off, you’ll need to decide what SSL certificate best suits your needs. Click here for a handy wizard to determine which SSL certificate is right for your website. Alternatively, you can give our sales team a call anytime on 1300 694 678 (press option 3) to have us assist you in choosing the right option, or answering any other questions you may have! If you purchase an SSL certificate through Digital Pacific, you will receive an email containing installation instructions after you complete checkout. You can also use the following handy guides from our knowledgebase which will step you through the process. Once you’ve determined that an SSL certificate is installed on your hosting account and ready to use, you will then need to make the appropriate changes to your website to ensure it is using the new https URL. The steps for doing this will differ depending on the sort of website you have. You may need to consult with your web developer on the appropriate steps for your website (while we’re always here to assist with your hosting services, we are unfortunately unable to provide specific web development/design advice such as this). If you’re happy to give it a go yourself, there are many useful guides online that can help (we’ve posted some below) – though we strongly recommend taking a full backup of your website prior to making any changes, just in case anything goes wrong! If you wish to seek further assistance or need some questions answered, feel free to call our sales team on 1300 694 678. Would I need an SSL certificate with this website; it does not contain any email or credit facilities. No one can add content to this website in any way! Do you support “lets encrypt” the FREE SSL certificates or should I move to another web hosting provider? We certainly do support Let’s Encrypt! Although, there are some negatives to LE–compared to traditional SSL certificates, LE renews every 90 days rather than DP’s period of up to 3 years, and leaves a short period of time with no validation between expiry and renewal. 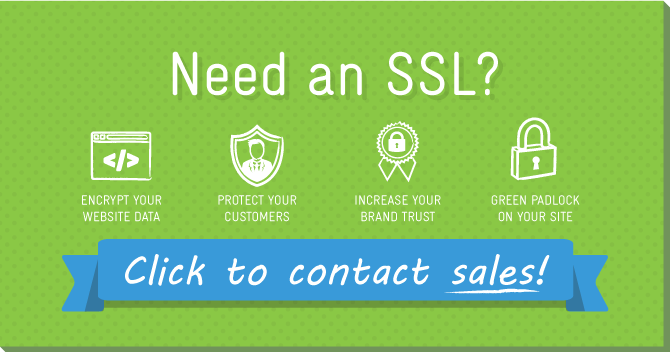 For eCommerce sites, we discourage LE and regard a traditional SSL certificate as essential. Go Google, I mean Microsoft, I mean Apple…. Another company that determines whats good and bad for the world. 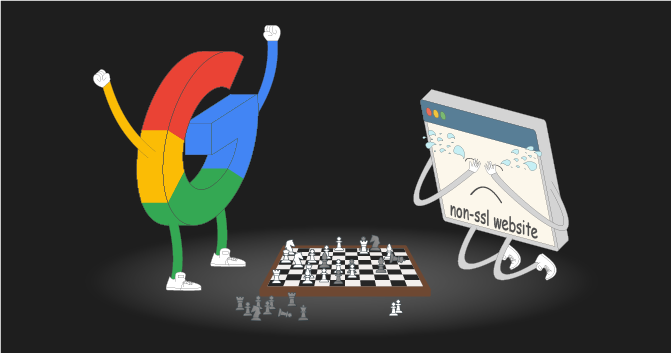 You used to be cool google, what happened to you? Can you please check if we currently have this certificate and if not what are the next steps and cost. I really don’t care if anybody steals stuff from my website, the contents is freely downloadable. Do I still need to worry about the certificate and it’s cost? Digital Pacific made it easy to purchase a SSL certificate. Then, because the automatic installation encountered a problem at the last step, I also purchased the installation service just so the experts could ensure the installation was in order. Of course even then it didn’t just work, since it was up to me to set in order the things that were wanting in my website of around 2000 self coded pages and scripts. I ran a global search and replace, to change “http://www.simplybible” into “https://www.simplybible”. This fixed up all the canonicals, the xml sitemap, and most of the htaccess file. The latter needed a redo of some domain redirects (which I fixed through cPanel), because the browsers thought hackers were afoot! Now, having at hand an unchanged backup of the site, I uploaded a selection of changed files and tested them carefully. They worked, so I uploaded the whole bang lot, and behold I was now seeing the little padlock and the “https://” in the browser address bar of any page. I downloaded the code for the badge supplied by GeoTrust and made it show on the site banner. Now I hope Google and its browser will be nice to my website. Thank you for the heads up regarding the SSL certificate. I will be adding a sale element to my website in the near future when I go ebooks so this will be essential for me. I use Weebly for my little site, but I have my hosting with you. Could you please let me know what I have to do or do you do it for me and then bill me later. 1. If you wish to host with Digital Pacific and take full advantage of an SSL certificate, feel free to contact us anytime on 1300 694 678. That is true, we are offering Let’s Encrypt. Yet it really depends on what sort of sites you’re hosting. For eCommerce sites, we discourage LE and regard a traditional SSL certificate as essential. Thanks for the info. I run two basic websites that have no e-commerce (they’re information sites) and a community choir website where we sell just concert tickets and our albums (income doesn’t even come close to covering costs). All three sites have basic contact forms. I, and the choir, can’t afford to pay for fancy SSL on websites that earn us no income, in addition to the domain name and hosting costs. What do I recommend to my choir? Your hosting plan does come with Let’s Encrypt, a bare-minimum free SSL service. This means that your website is protected at the minimum level. However, we do encourage getting a traditional SSL certificate to ensure maximum security, but at the end of the day, it’s up to you. I’am Jocob Michael from los angeles, California, US. Well am running a website which is related to dedicated server hosting. But i don’t applied for SSL certificate since 10 year to my website. Is any problem i would get in the future. Hi Jocob, hope it’s nice and sunny over there! To answer your question, without an SSL certificate, Google Chrome will deem your site as insecure and a potential hazard to the site’s visitors. Also, without an SSL, you’re risking the chance of malicious cyber attacks that could occur on your site, and potentially steal private information or financial credentials. It would be the best option for you to get an SSL certificate installed on your website. If you wish to enquire about purchasing an SLL, feel free to call our sales team on 1300 694 678 or shoot them an email at sales@digitalpacific.com.au.